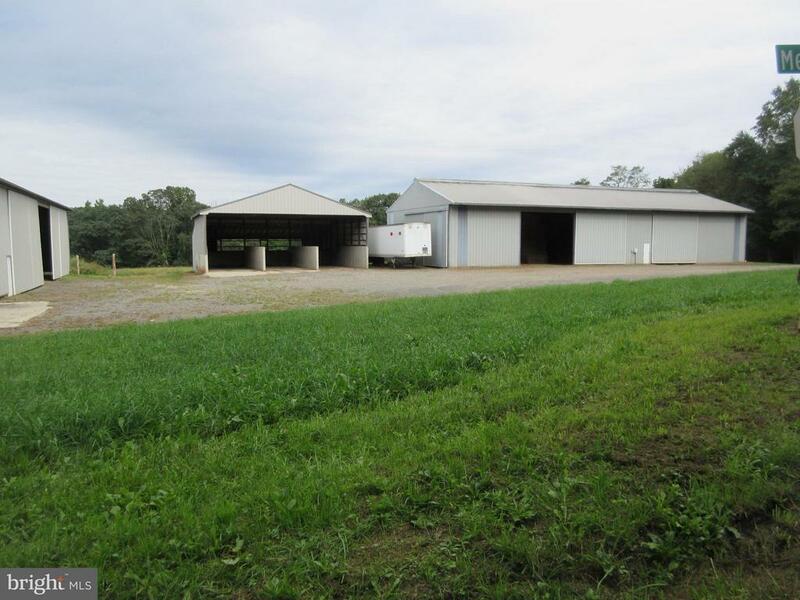 9 acres w/sheds and stream. 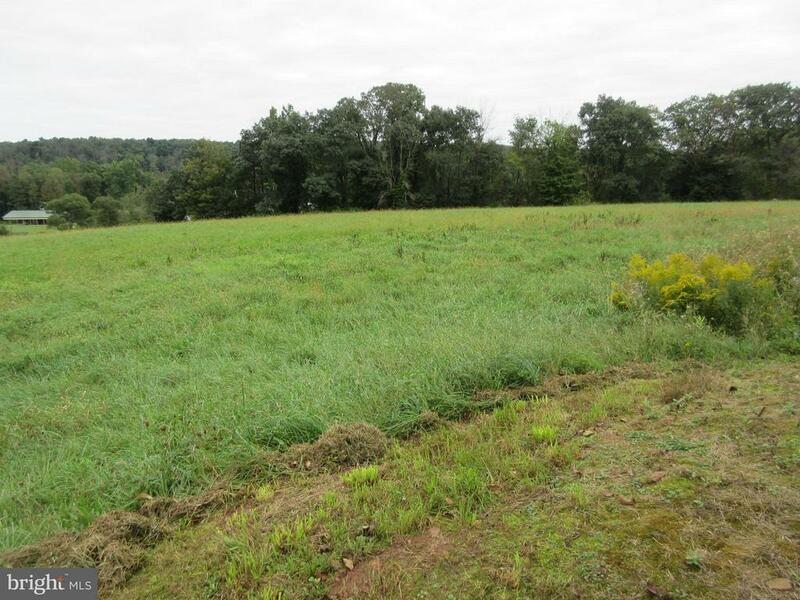 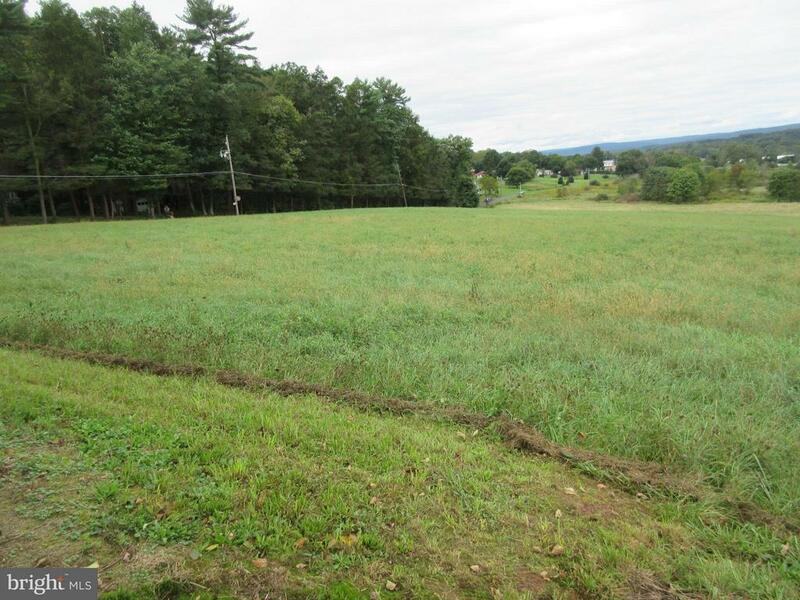 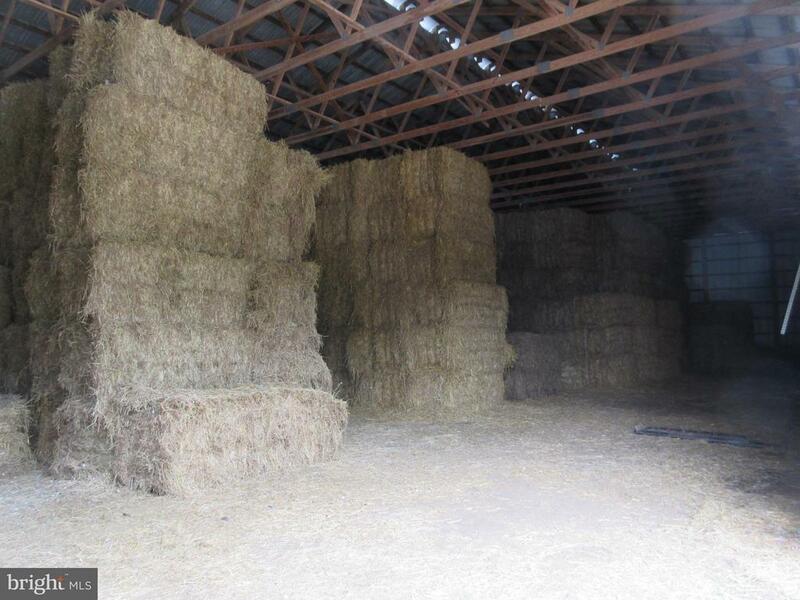 Approximately 6 acre hay field. 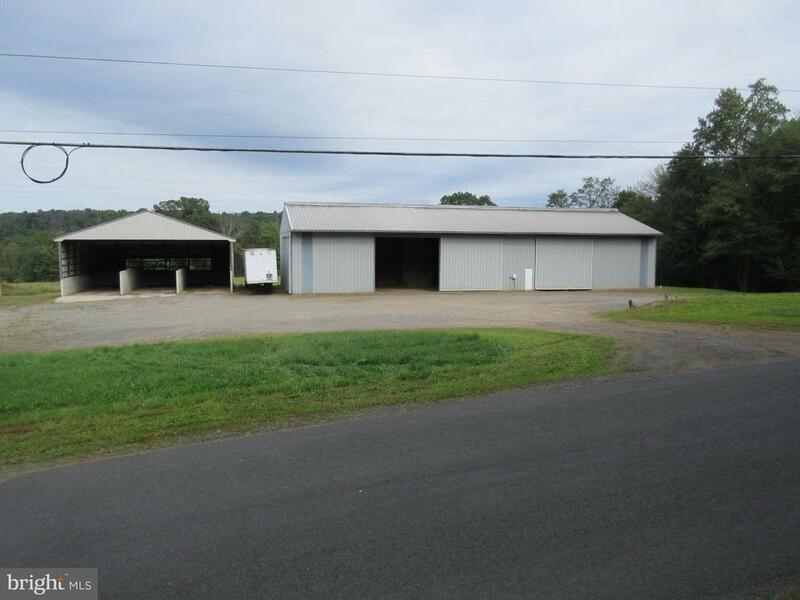 Balance in sheds, parking area and woods. 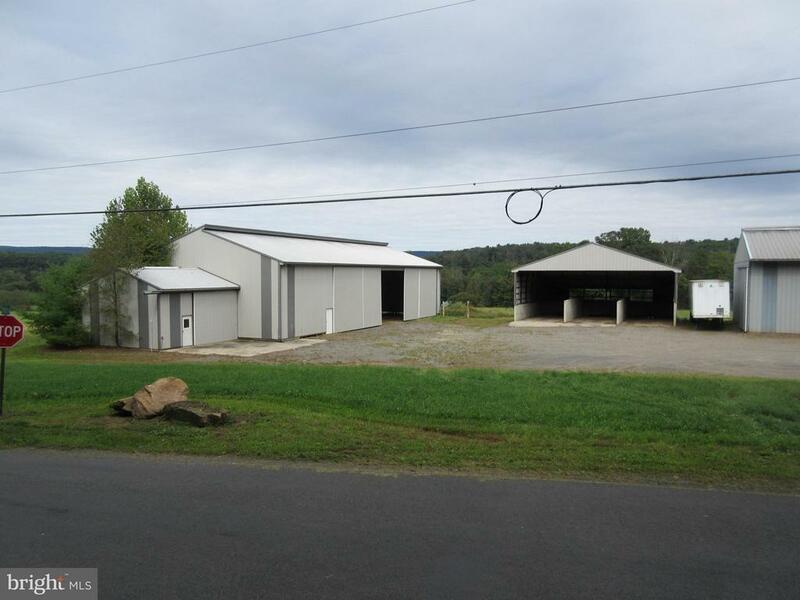 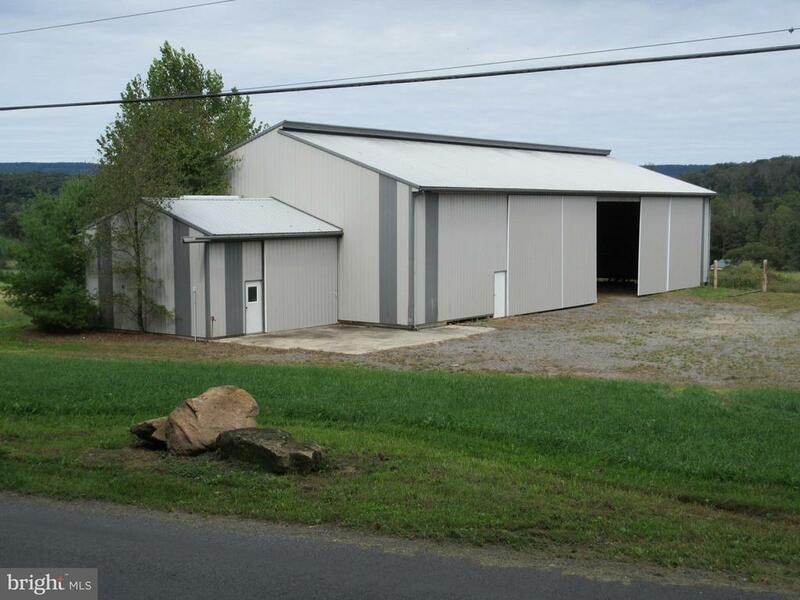 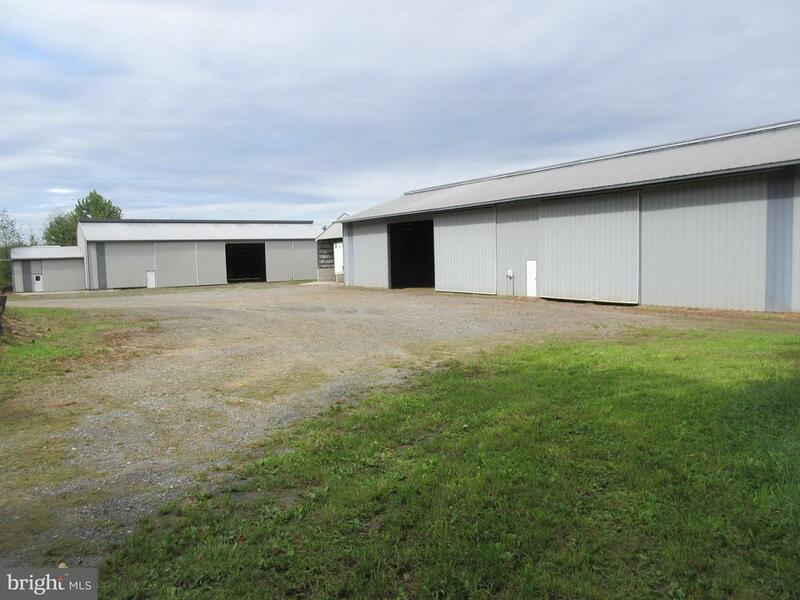 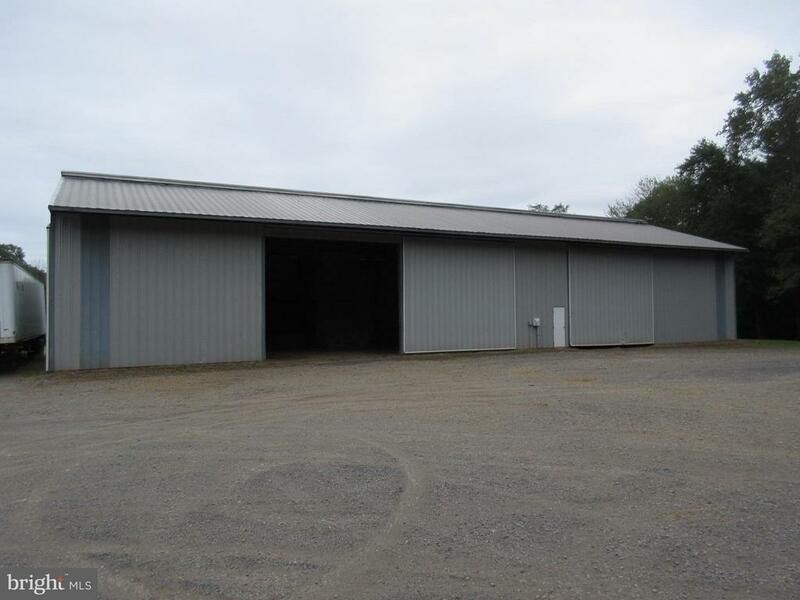 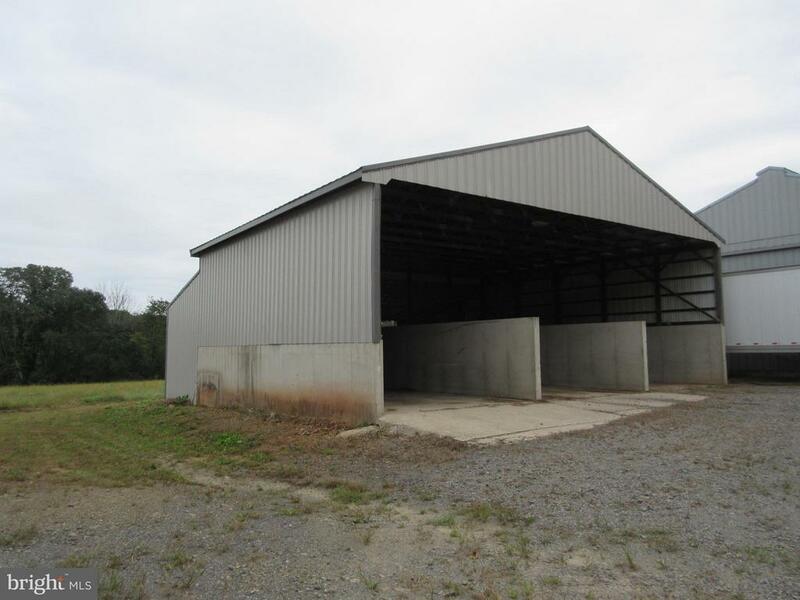 Shed #1 120W x 50D x 18H – 6,000 sq.ft. 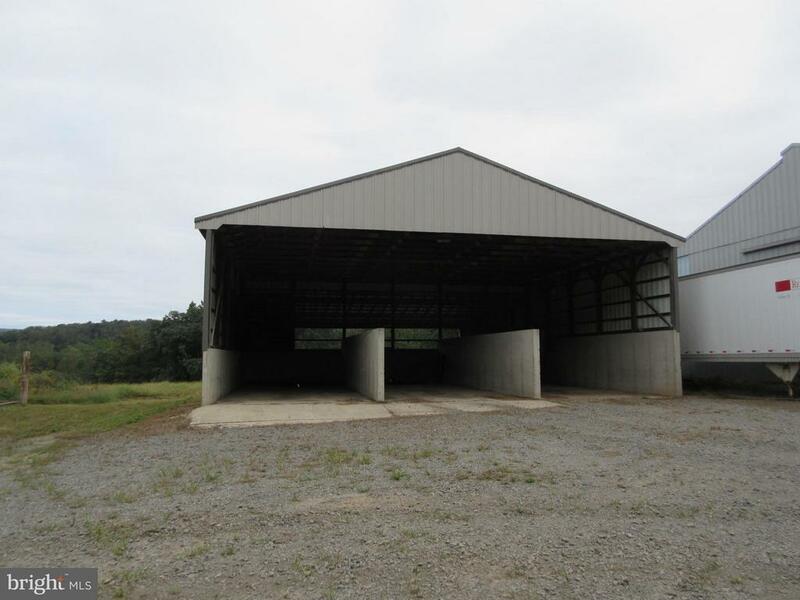 Shed #2 112W x 52D x 18H – 5,800 sq.ft. 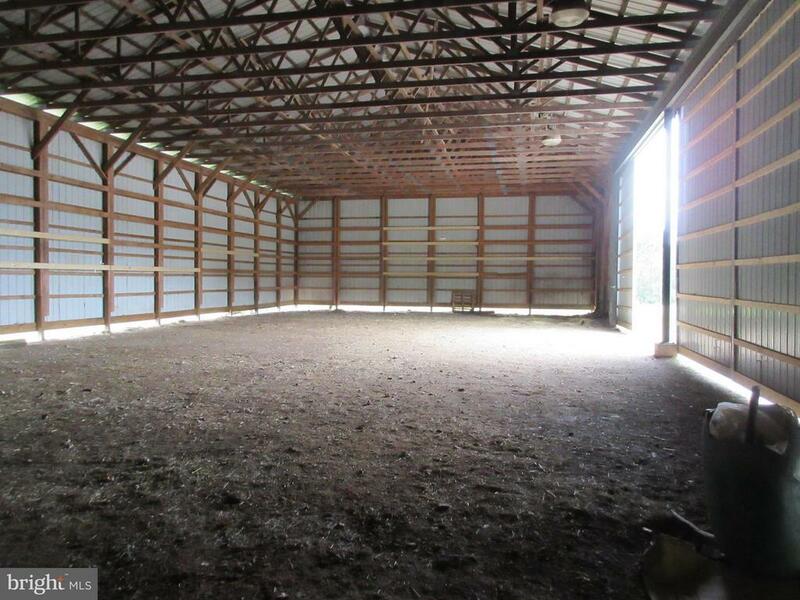 Shed #3 48W x 56D x 17H – 2,700 sq.ft. 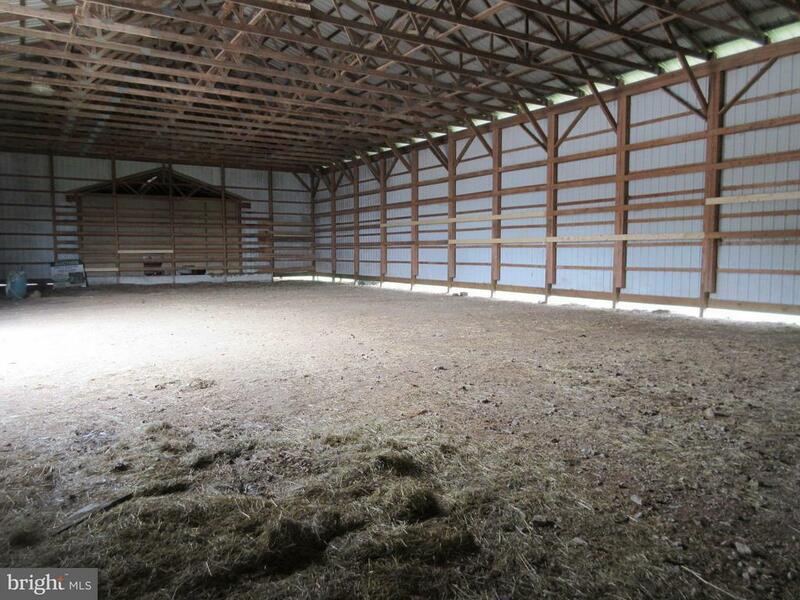 Would make ideal farmette residence, equine facility, produce farm, etc. 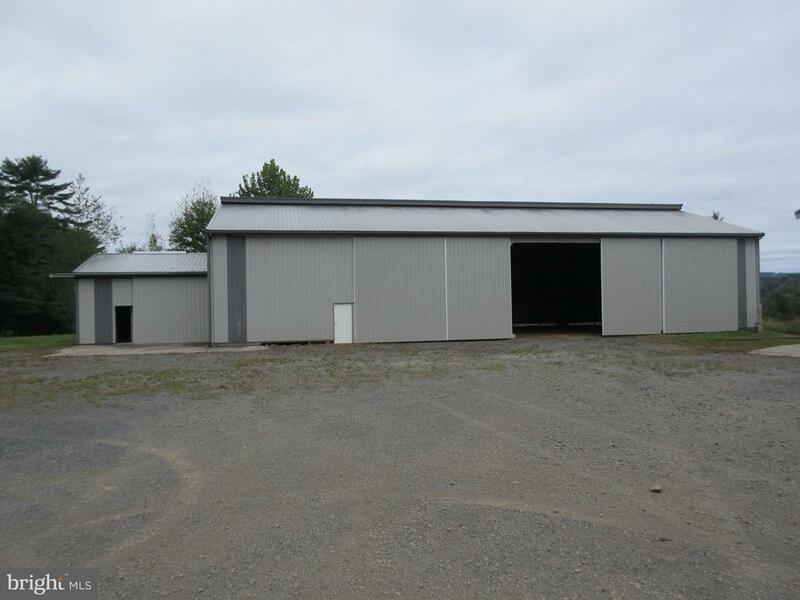 Possible RV storage units. 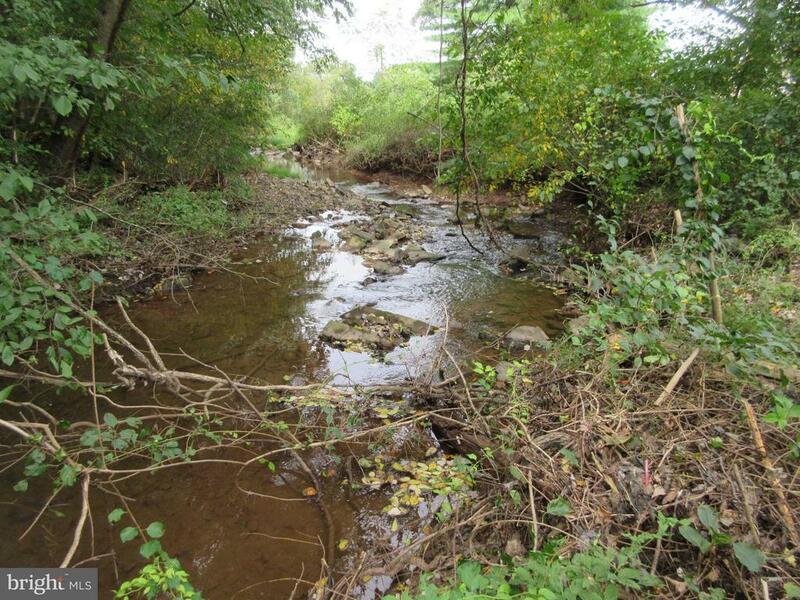 South side of Pine Grove.